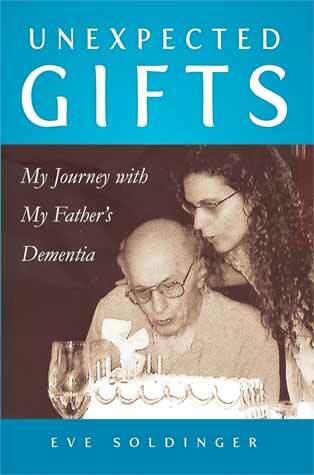 A year ago today I published my first book, a memoir on my journey with my father. The task of why I wrote it changes in my heart every few months, but I thought this would be a good point to stop and express some of my motivation behind writing the book. When I was still a new acupuncturist in 1985, I was visiting my parents in Orlando, Florida. At the time I was around 30 years old and my father was in his early 70s. We were taking a long walk along a bike trail, and he was telling about a case of sciatica that he had had the past month. He went to the doctor to find out what it was and what to do about it. The doctor dismissed him saying that he was older now and he was going to have aches and pains. My father had a few colorful words to say about his physician’s attitude. And then, he went on to tell me that he had figured out what had caused his pain. He realized that every time that he drove the car with a wallet in his back pocket he had the sciatica pain. So he just stopped driving with the wallet there and it went away. The problem was solved, but there was an awakening for me that it was easy to not pay attention to the elderly in general (though 70 years is now not that old). Since I accepted that this was probably not an individual physician’s problem but a societal problem, it would not easily go away. I made a mental note to myself to be careful and pay as much attention to the pains of the elderly as everyone else. For me, life is always about growth and healing no matter what the person’s age. But then almost 2 decades later my father had dementia. It seemed to happen over night. The world turned upside down. And I watched as the hospital gave their diagnosis of dementia in a very matter of fact way. We weren’t sure what happened but it appeared he had a stroke and besides needing to learn to regain his balance, walk, chew, swallow, and talk, he could no longer understand and interpret the world in the usual way. And I learned quickly that it is hard to pay attention to a person when worlds no longer match. I watched as the medical personnel stopped speaking with him as he was talking about a grand party and limousines. There was an overwhelming awareness that things had changed and the effort to understand would be substituted with the effort to redirect and to control. As you see the professionals doing it, you wonder if you should do it as well. Within the first two weeks of in my father’s illness we were called to the hospital one day when my father was dehydrated. The ER doctor thought his situation was dire. He thought that he didn’t have long to live and would need a feeding tube for what little time he had left. My family left the hospital late in the evening immediately researched our options. He was 89 years old at this point. He was in recovery for the supposed stroke, and I for one really believed that he would get better. The next morning we held a family meeting to talk about his situation. Each person expressed his/her point of view and in the end we decided that we wouldn’t do the feeding tube. I was one of the few who was alright with a short-term use of a feeding tube. My sister and I immediately left for the hospital hopefully in time to catch the physician as he/she would make morning rounds. When we came into his room I found Dad crying and distressed with his hands tied to the hospital bed. I ran to untie him and comfort him. Without people to sit with him, it was too difficult for the nurses to control him and if he needed to get up, he would not remember to use the call button. I was furious knowing that they had a list of 4 cell phones and some home phones and yet it was easier to tie him up. Once again I was thinking of that conversation with my father about being dismissed when he was 70 years old. I knew that I needed to write a scathing article about how we as a culture and the medical establishment treat our beloved family members with dementia. So I started to keep notes. At first it was just his interactions with the world and especially the doctors and nurses. But soon I was writing about my interactions. My own eyes and ears initially refused to see the decline. I was waiting for everything to go back to normal. And I was not really listening and in my own way my mind I was also dismissing his every word. I wanted him to be the way he had been 2 months earlier. I wasn’t paying attention to what he was actually going through. As soon as I stepped into his circle I changed and I gained an unforeseen understanding that this was part of his soul’s journey. I realized that seeing the changes allowed me to see what aspects of his soul he continued to work on. There were so many unexpected moments of growth and realization. I started to find all his same virtues when stepping into his world. I saw that even though we no longer shared reality there was a value and meaning to the journey that he was traveling on. I had to let go of our usual and past way of doing things. I had to expand to the opportunities for growth that he would experience. And I was there to remind him that at every stop post, that he should not doubt his value, worth, or that he was loved. This is where it becomes so rich for the person going along for the ride, and here is where we celebrate the many unexpected gifts. The book is an offering for all families going through similar circumstances. I recommend reading it slowly and reflecting on your love ones life and how despite how hard it is, that they are continuing with their path.